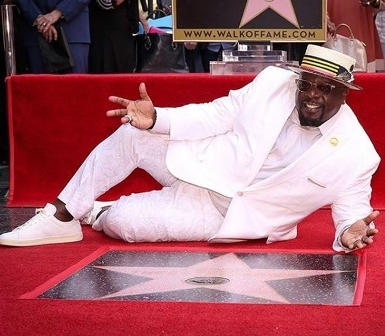 A star on the Hollywood Walk of Fame in the live performance category was unveiled today honoring Cedric the Entertainer for his career as a stand-up comedian. The star is the 2,640th since the completion of the Walk of Fame in 1961 with the first 1,558 stars. “Like most people, I’ve always been considered funny,” Cedric said. Cedric said another highlight of his career was a Bud Light commercial that aired during Super Bowl XXXV in 2001 and was chosen as the game's best commercial in the annual survey conducted by USA Today. “I went to them to get some money to go on tour,” Cedric said. “They asked me to do commercials. The next thing you know I won the Super Bowl as the most popular commercial. In those kind of things you feel if I never walked in for something that I wanted I never would have got what I was supposed to get out of it. 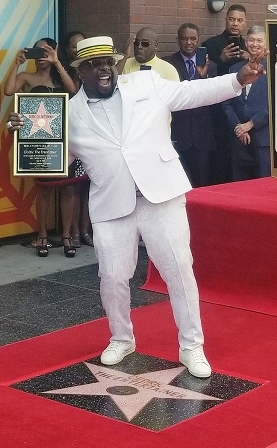 Cedric’s other film credits include the 2007 action film comedy “Code Name: The Cleaner,” the 2005 comedy “The Honey­mooners” as bus driver Ralph Kramden, the role made famous by Jackie Gleason, and the drama “First Reformed,” which was released in May.